On May 28, 2018, TOMODACHI welcomed new students to the TOMODACHI Internship Program. 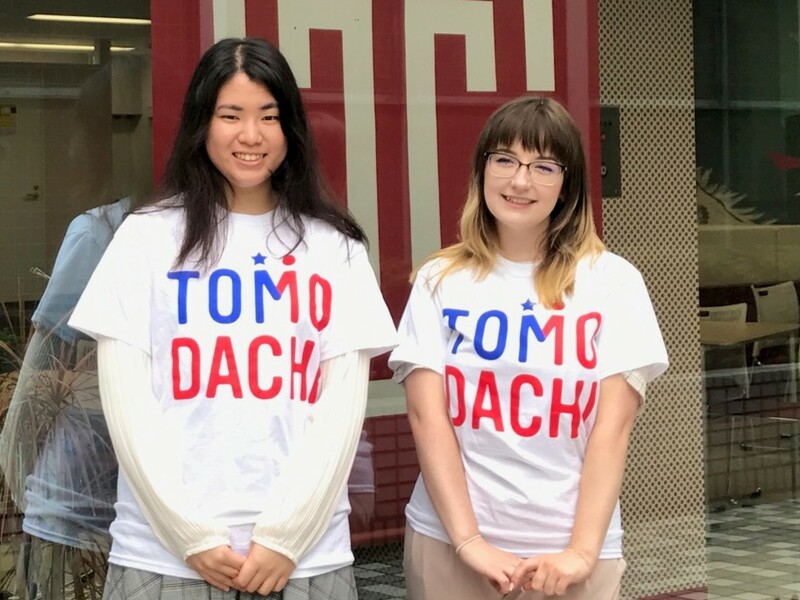 In a gathering held on June 12, 2018 at Temple University Japan Campus, the students were introduced to the TOMODACHI Initiative and its mission. This semester, the program welcomed two university students. Having just completed their first two weeks at their internships, they shared their experiences to date and expressed their excitement about their future in Japan. The two students each work for different host organizations and receive three to four college credits for their internships. Emily Yocom, a senior from Pennsylvania State University, is majoring in international affairs. This summer, she is interning at Minato City Hall, where her bilingual English and Japanese skills have been a huge asset. This is her third time in Japan, having studied abroad in Japan her sophomore year and having spent last summer in Japan for her thesis. Both students have been studying Japanese for over two years, and share a great interest in Japanese culture. Therefore, they are excited to cultivate their Japanese language skills while simultaneously benefiting from work experience at their internships. After completing their studies, they both hope to start careers in Japan. After the gathering, both students now better understand their roles as selected U.S. representatives in building the bridge between Japan and the U.S. TOMODACHI hopes that both scholars will grow further as global citizens through their internship experiences. This program was created in 2015 to facilitate more Japanese internship opportunities for American students. This program is sponsored by the U. S. Embassy in Tokyo and is implemented in partnership with Temple University, Japan Campus (TUJ).